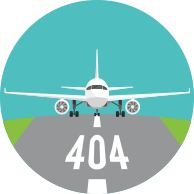 This is your captain speaking–we've had to 404 that request of yours. But don't worry, we've notified Air Traffic Control and they're getting right on to it. Why not try the site search (top right of this page) or go back to the home page?